We have personally spent almost $8,000 on Airbnb stays over the past year and a half, including over $4,000 on one host in particular! That’s right; we have made Airbnb hosts worldwide almost $8,000 richer in the past 18 months. We used Airbnb on our honeymoon, we used Airbnb on short weekend trips, and Logan very often crashes at an affordable Airbnb near his office if he’s working late. ? $8,000. And that’s just us. The latest stats show that approximately 500,000 people stay in an Airbnb every night. The demand for quality, short-term spaces for people to get a good night’s rest has never been stronger — and with greater demand come greater income potential for Airbnb hosts. Airbnb Hosting Is the #1 Side Gig. Becoming an Airbnb host is easy since Airbnb has a streamlined platform that makes it super simple for you to get your listing up and running as quickly as possible. 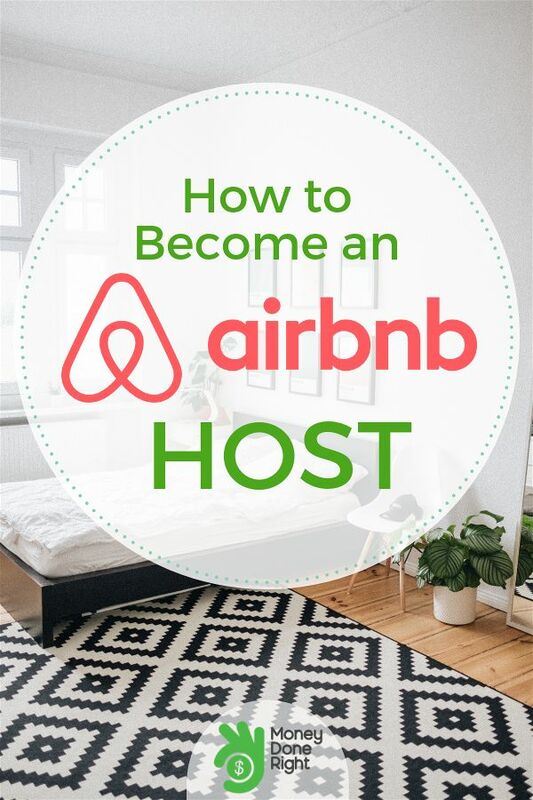 But it’s not just about signing up and becoming a host; you need to be a great host if you want to earn a generous income from Airbnb listings. You see, hosts are rated in great detail by their guests, and the top hosts — those who follow all the steps below — will get the most guests and potentially earn the most money. 1. Make sure that Airbnb hosting is allowed in your community. If you do not own the space you are considering listing, check with your landlord before becoming a host. Similarly, if you live in a community governed by an HOA or some similar organization, be sure to check with your HOA first. 2. Talk to those who live with you. This probably goes without saying, but make sure those who share your humble abode are on board with your plan to make extra money on Airbnb! 3. Figure out how much space you want to list. Once you’ve made sure that hosting on Airbnb is allowed in your community and acceptable to those you live with, figure out exactly what you want to list. You can list a spare room. You can list a whole house while you’re on vacation. You can even list part of a room. 4. Sign up to become an Airbnb host here. Airbnb’s sign-up process is super simple and straightforward. You simply click through various screens, providing various information about your listing such as how much space you have to list (private room, entire house, shared room), how many guests you want to accommodate to at a time, how big the bed is, whether or not the bathroom is private, etc. So if you’re ready to list your space on Airbnb to start making extra money, sign up by clicking here! 5. Be honest when describing your listing. Have you ever been to a hotel that didn’t live up to its self-proclaimed promises? Yeah. Don’t be that kind of Airbnb host. Always be truthful when describing your listing. No false advertising allowed! 6. Invest in high-quality photos of your listing. The first thing guests will notice about your listing is, well, how it looks. And only if they like how it looks will they read about your king size Tempur-Pedic sleeper and tub with jet streams. So be sure to invest in high-quality photos of your listing. You can always take your own photos or hire the job out to outside photographers, but keep in mind that Airbnb has a network of professional photographers who are experienced in working with Airbnb hosts that you can tap into. If one is available, Airbnb will match you with a photographer in your area. 7. Write detailed check-in instructions for your guests. Once a guest’s listing is confirmed, they will receive an e-mail with your check-in instructions for them: where to park, how to access the property, etc. Make sure these are as detailed as possible so your guests have an amazing Airbnb experience that they will recommend to their friends. 8. Keep your calendar updated. Airbnb has an easy-to-use calendar feature that you can use to turn off your listing for days, weeks, or months at a time. So if your space is not going to be available for a certain period of time, be sure to update your calendar to avoid confusion. 9. Consider leaving out goodies for your guests. It’s always a nice touch when we arrive at an Airbnb, and there are chocolates laid out on the pillow or water bottles on the nightstand. Believe it or not, these little things are extremely memorable to guests and will certainly make your listing stand out in their minds the next time they are in your area. 10. Commit to keeping your listing clean and tidy between guests. Cleanliness is obviously extremely important to guests when they stay in a stranger’s home. Also, your guests will rate your listing on how clean it was. So commit to keeping. If you have, this may mean hiring a housekeeper. And yes, you can charge your guests a reasonable cleaning fee for this purpose. 1. How do I receive payment? Guests pay within the Airbnb platform before they check in, and you receive payment directly from Airbnb twenty-four hours after your guest checks in. You may elect to be paid via Paypal or direct deposit. There is no dealing with payments directly from guests, making the entire payment process hassle-free for you. 2. What is Airbnb’s fee? Airbnb charges a flat 3% listing fee. This is very reasonable considering the top-notch platform they provide. 3. What if a guest damages my property? Airbnb provides hosts with a $1,000,000 Host Guarantee. This is at no cost to you; you are automatically enrolled when you create a listing. 4. What if a guest gets hurt on my property? Similarly, Airbnb also provides Host Protection Insurance to protect you from liabilities in the unfortunate event that your guest gets hurt during their stay. 5. How much should I charge guests for their stay? This all depends on you. However, Airbnb provides free tools to help you determine a fair price based on your location, accommodations, etc. 6. Do I have to cook my guests breakfast? Nope! You do not have to cook for your guests! You only need to provide a bed; breakfast is optional! 7. Can I use a property manager to manage my listing? Yes! Just be sure that the host company you use is reputable and will provide an amazing Airbnb experience for your guests. 8. Do I have to be physically present to let my guests in? Nope! If you truly want your Airbnb earnings to be passive income, consider putting in place systems to automate guest arrival and departure. Logan’s favorite Airbnb spot in Downtown L.A. is completely automated. The host has a digital lock to the house whose combination changes daily, and whenever Logan books it, he receives an email with the combination. Just be certain that whatever systems you use, they are secure. Remember, guest safety must come before your own convenience. 9. I’m not comfortable hosting someone of the opposite gender. Is that OK? If you and your guests share common areas, such as the kitchen or a bathroom, then you may decline guests based on their gender. However, if there are no shared common areas, then you may not. However, you may never decline guests based on race, nationality, ethnicity, religion, marital status, or sexual orientation. Everybody is welcome, included, and respected at Airbnb! 10. Do I need to report Airbnb income on my taxes? Yes! Income you earn from Airbnb is taxable. The good news is that you can take many deductions against your revenues, along with potential depreciation deductions on the space you list. It is recommended that you speak with a qualified tax advisor on this subject. 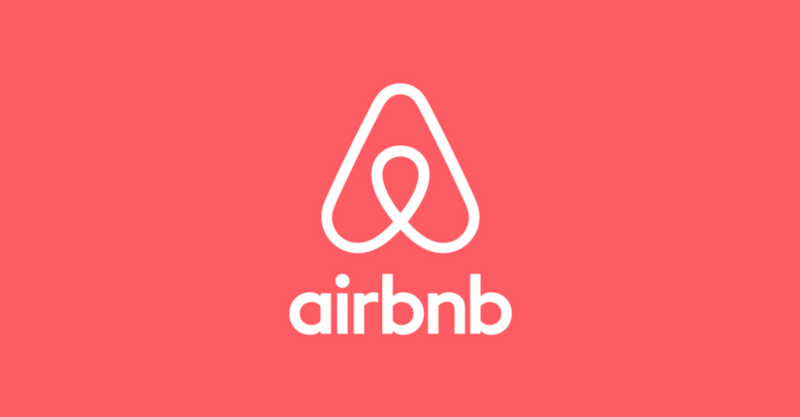 If you’ve read all the above and are able to commit to providing quality accommodations to short-term travelers, click here to sign up to become an Airbnb host.